Mike Bafan is president of Toyota de Mexico responsible for manufacturing, corporate shared services and government affairs. In his role, he oversees production at Toyota Motor Manufacturing de Baja California (TMMBC) which builds Tacoma trucks; and in November 2015, he was appointed president of Toyota Motor Manufacturing de Guanajuato (TMMGT). TMMGT’s start of production is scheduled for late 2019 to build Tacoma. 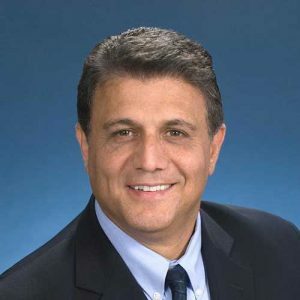 Mr. Bafan joined Toyota in May of 2006 as general manager of production engineering at Toyota Motor Engineering & Manufacturing, Inc. (TEMA) to lead the engineering and production process activities on the West Coast. Prior to joining Toyota, Mr. Bafan worked 22 years at General Motors. Two of those years at the New United Motor Manufacturing Inc. (NUMMI), Toyota’s former joint venture with GM in Fremont, Calif.
Mr. Bafan has held several management and leadership positions in production, manufacturing engineering and production control. He began his career at GM’s Saginaw steering gear division as a production supervisor. He later assumed increasing levels of responsibilities in manufacturing engineering and production control in several different factories in Europe and in the U.S. In 2000, he was assigned an executive leadership role to develop GM’s latest assembly Green Field plant using TPS/GMS principles. In 2001, he became the plant director of a GM high tech aluminum forming factory in Michigan, before joining GM’s full size truck plant in Ft. Wayne, Ind., as a production manager in 2003 where he was responsible for safety, quality, cost, delivery and productivity. Currently, Mr. Bafan supports several not for profit organizations including the Boys and Girls Club in Tijuana. Previously, he served as vice chairman of economic development for the Long Beach Chamber of Commerce. Mr. Bafan earned a Bachelor of Science degree in chemical engineering from The University of Michigan and a master’s degree in administration from Central Michigan University. Additionally, he has completed a series of executive development programs for GM and Toyota at Wharton School of Business, University of Pennsylvania.